The former hedge fund manager whose pharmaceutical company has come under withering attack for allegations of egregious price-gouging on life-saving medication is the subject of a $65 million lawsuit by his former employer for alleged stock manipulation—and it turns out he once tried a similar price hike scheme with that company. During Martin Shkreli’s tenure as CEO of Retrophin—the company that is now suing him—the company increased prices on a decades-old kidney medication by about 20 times its original cost, a move similar to the controversial price increase by his new company reported by the New York Times on Sunday. 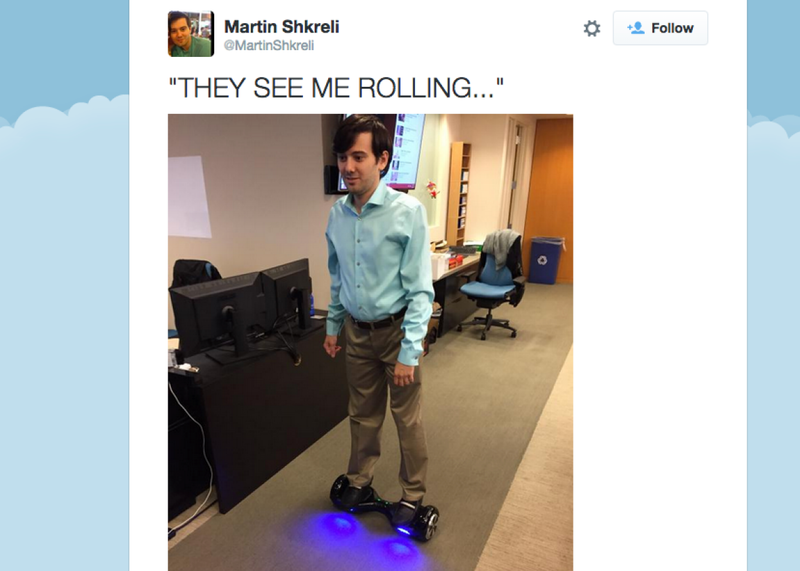 Martin Shkreli’s current company, Turing Pharmaceuticals, has been criticized by Democratic presidential candidates Hillary Clinton and Bernie Sanders for spiking the price of a 62-year-old drug called Daraprim now used to treat AIDS patients. The price of one pill, which once cost $1, went up from $13.50 per tablet to $750 after Turing purchased it. Patients are usually diagnosed with the disease at a very young age and have an abnormally high concentration of an amino acid called cystine present in their urine. The excess cystine crystallizes regularly into stones that painfully travel through the kidneys, ureters or bladder. Imagine having a kidney stone form or pass once a month, tearing through your organs as it tracks its way out of your body. Retrophin, meanwhile, announced last month that it was suing Shkreli for more than $65 million in damages, alleging that he misused company funds to settle legal disputes against him and hedge funds he ran. Bloomberg Business reported at the time that Shkreli was “the target of investor lawsuits over his trading in Retrophin stock, and the company has said it received a subpoena tied to a probe by federal prosecutors in Brooklyn, New York.” The company claimed that the government had asked for information about Shkreli. It also alleged that through “sham consulting agreements” and stock manipulation schemes, he had fraudulently obtained more than $5.6 million in cash and $59 million in Retrophin stock from the company. Shkreli told Bloomberg that the lawsuit was “baseless and meritless” and called the suit “preposterous” in an interview with Forbes. He also went on Twitter at the time of the lawsuit seeming to threaten a $150 million countersuit, saying “yeah whatever,” and citing Wu-Tang Clan. *Correction, Sept. 22, 2015: This post originally misstated the original cost of Thiola as $1 per pill.